LIVIT is a huge Dutch company specialized in prosthetics and orthotics with the use of advanced technology. The company is also developed in the field of shoe making. 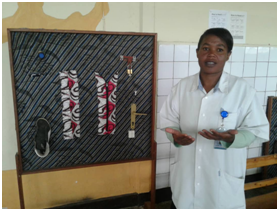 LIVIT has been in partnership with Liliane Foundation (LF) for several years and since November 2018 It was interested in working with Liliane Foundation partners in Rwanda by supporting them in building technical capacity in the field of P&O workshops. 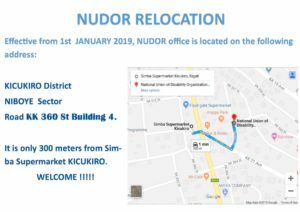 It is in this framework that, in collaboration with NUDOR, a field visit was planned from the 26th – 29th of March 2019 in order to have a better idea of what is available and what is not available in Rwanda. To visit HVP Gatagara and their P&O workshop (One in Nyanza and another in Gikondo) which requested LF support in strengthening its capacity in P&O techniques; to see if a partnership with LIVIT would be possible. To have a better overview of what is available and need related to P&O services in Rwanda. 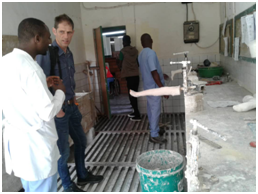 The visit was organized in such a way that Sandra Emmons (organizational development advisor LF) and Cornelis Visser (senior orthopedic advisor LIVIT) would spend two days to collect information after which Jan Willem van der Windt(CEO LIVIT) and Jan van der Werken (Director Production LIVIT) would join to look at concrete possibilities. To that end the team of visitors, accompanied by Daniel (CBO/NUDOR) went to HVP Gatagara in Nyanza whereby after a warm welcome, different areas of the hospital and P&O workshop, including the assessment room, the casting room, the rectification room, the workshop, the store of P&O workshop materials, the physiotherapy department, the occupational therapy department were all visited. In the afternoon, the team visited HVP Gatagara/Gikondo to see how its P&O workshop operates as well. 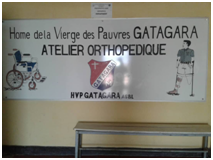 The visit to HVP Gatagara was followed, on Wednesday, by a meeting with NCPD (In charge of Health or Orthopedic services), UR/College of Medicine and Health Allied Sciences (Orthopedic Technology department) and Rwanda Society of Prosthetics and Orthotics. 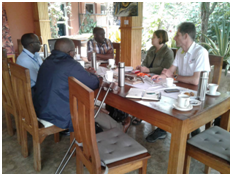 Robert C. HAKORIMANA- (Acting HOD- UR/Orthopedic Technology and President of RSPO) together with Marcel Nkurayija (Health and Councelling Officer(NCPD) holding discussions with Cornelis (Livit)and Sandra(LF). 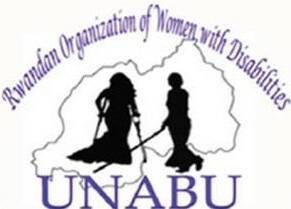 This meeting was aiming at being aware of how the health system works in Rwanda in order to be aware of how the support can be provided without doing anything which may be in contradiction with that system. During this meeting, gaps in the field of P&O workshops and Assistive devices for people with disabilities have been identified and after this meeting visitors went to the CRF Gahini. On Thursday March 28th, 2019 the team of visitors was joined by Jan Willem van der Windt – CEO LIVIT and Jan Hendrik van der Werken – Directeur Productie LIVIT. Meanwhile, the President of NUDOR, Mr BIZIMANA Dominique, also joined visitors. On this day, all of them went back to HVP Gatagara/Nyanza to ensure possibilities of partnership in building technical capacity of orthopedic workshop. Visitors, in collaboration with Mr Robert C. Hakorimana, the acting HOD of UR/Orthopedic Technology, also visited the P&O workshop of the University Teaching Hospital (CHK). The last day of the visit was used to conduct a meeting for key people who are involved. Together with visitors delegates from HVP Gatagara, CRF Gahini, CBM, NUDOR, UR/Orthopedic Technology Department and RSPO attended the meeting. During this meeting, participants discussed on identified needs in relation with P&O workshop development. Brainstorming on possible solutions was done and in the end the Livit Company CEO, Mr Jan Willem, promised that Livit will surely support to introduce the lamination technology at HVP Gatagara. Let’s mention that, apart from the visit by Livit Co., Sandra, the LF organizational development advisor has had enough time, on Monday, to hold discussions with the Management of NUDOR (Meeting with Bizimana Dominique and Nsengiyumva J. Damascène, respectively the President and Executive Secretary) on different issues related to the implementation of CBR programme. In Conclusion, the visit was very fruitful. 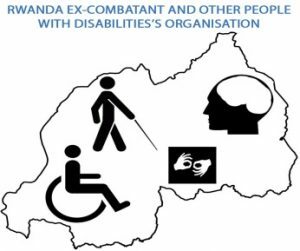 There is hope that soon, through the use of improved technology and with trained staff, quality service will be available for people with disability in Rwanda. NUDOR is deeply grateful to LF for her invaluable support. We were also enormously delighted by the visit of both LF (Sandra) and Livit (the whole team) to whom we extend our sincere appreciations for such an unforgettable initiative of thinking about PWDs in Rwanda. Meeting at CRF Gahini. 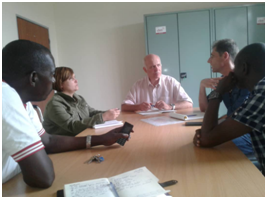 Fidele, Innocent and the orthopedic Advisor/CBM in discussions with Cornelis and Sandra. 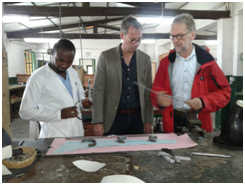 The Livit CEO, Jan Willem van der Windt, visiting different department at HVP Gatagara/Nyanza with Isaac for more details and explanations. The occupatioanal Therapy was also visited by Livit team.